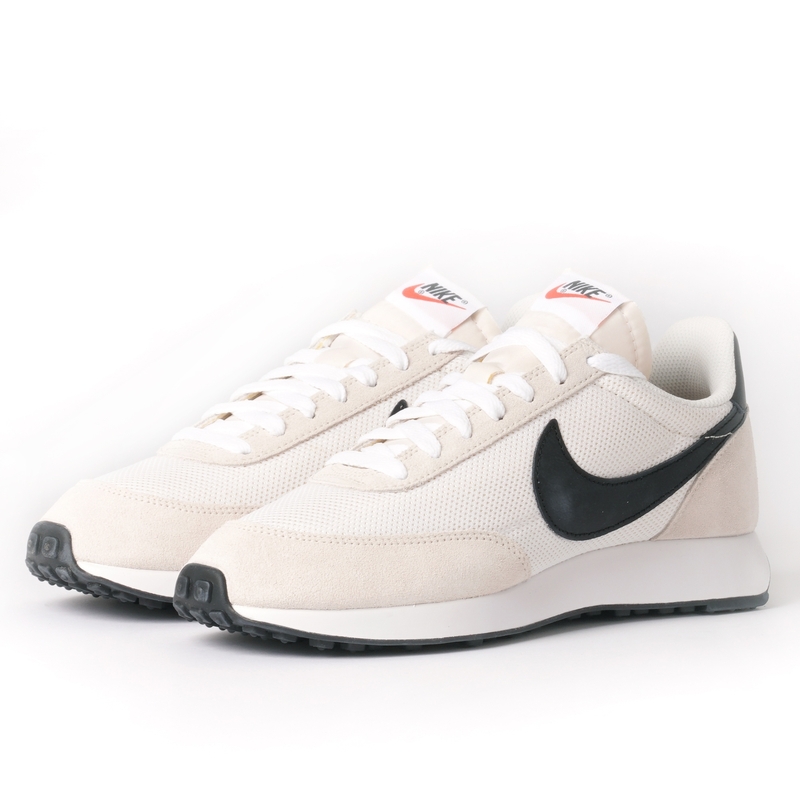 One of the most iconic running silhouettes the 1978 Nike Air Tailwind makes a return this season in a warm weather ready white and black colourway. Breathable and lightweight with a mesh upper, tonal suede overlay panels at the toe and heel helps give stability to the wearer whilst contrast synthetic leather swoosh branding on each sidewall joins at the heel for a statement effect. Sitting upon Air Cushioned midsole and a Rubber outsole with Waffle traction pattern this iteration of the Tailwind is a must to have easy to wear option that is well suited for everyday rotation over the course of the coming months.